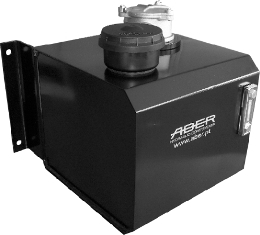 2B HYDRAULICS THE SOLE AUTHORISED UK DISTRIBUTOR OF ABER PRODUCTS. At 2B HYDRAULICS we know how diverse hydraulic and pneumatic systems can be, 30 years of EXPERIENCE has taught us that. We also know that when you are seeking products for your system you need a blend of QUALITY and VALUE FOR MONEY. But, ahead of all of that you need an experienced supplier with in-depth industry KNOWLEDGE. That’s why at 2B we positively encourage you to contact us to discuss our solutions to your system needs. EXPERIENCE, QUALITY, KNOWLEDGE and VALUE FOR MONEY. At our headquarters in Wolverhampton, 2B hold a comprehensive range of products, not only from ABER but also from 3-Elite and Air Engineering. ABER are Portuguese manufacturers of high quality products in the field of hydraulic pumps, PTOs, valves and other hydraulic equipment for industrial vehicles. ABER areISO 9001:2008 certified. Click here to see the ABER ISO 9001 Certificate. PTOs – Rear mount, side mount and heavy duty PTOs. 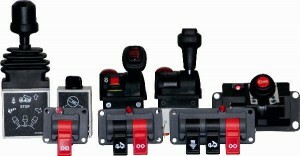 Air, cable & vacuum shift PTOs with shift kits to suit. PUMPS – A complete range of 3 & 4 bolt bi-rotational gear pumps (16cc to 125cc), bent axis & axial piston pump (19cc to 110cc) and double pumps with fittings to suit. Input shaft options 4 bolt, SAE B, DIN 9611 agricultural & UNI. MOTORS – A range of gear & piston motors are available from 16-200 cc/rev. ADAPTORS – “Plug-in” adaptors for the PTOs including flange (SAE 1100, 1300, 1400, DIN100), 4-3 bolt & 3-4 bolt. OIL TANKS – Available in steel, stainless steel and aluminium, ranging in size from 21 litres to 246 litres. “Specials” can be manufactured to customers requirements. Tanks are supplied complete with all brackets, straps, etc. & filter as standard. HYDRAULIC POWER PACKS & HYDRAULIC UNITS – Mini Power packs for both single & double acting cylinders with either plastic or metal tanks with wander lead option. WET KITS -Available in both steel & aluminium. Wet kits can be supplied inclusive of all hoses and fittings. PNEUMATIC CONTROLS – These include a complete range of 2 & 3 way cab controls with PTO switch as well as vacuum controls & complete pneumatic kits. 2B Hydraulics work closely with 3-Elite of Holland and can therefore supply radio remote controls (such as the Apollo, Hercules and Icarus ranges) for transport & industrial applications. We have a complete range of radio remotes from 2 to 24 functions for applications including recovery vehicles, beavertails, walking floors, curtainsiders, etc. 2B are partners with Air Engineering Controls Ltd. We offer an extensive and competitive range of standard pneumatic control equipment including mechanical, manual & solenoid-operated valves, pneumatic cylinders, air preparation equipment, push-in fittings, tubing & accessories and the full range of Speedfit Compressed Air Ring-main products. In addition, we can also design and manufacture special pneumatic products for use within the commercial vehicle, bus and coach markets. WINCHES A wide range of winches for off road and recovery use. CYLINDERS The 2B range includes standard, single & double acting and bespoke cylinders. FILTERS & FILTRATION PRODUCTS 2B can supply the complete range of filters & filtration products including suction, pressure & in line filters, filler/breathers and strainers.